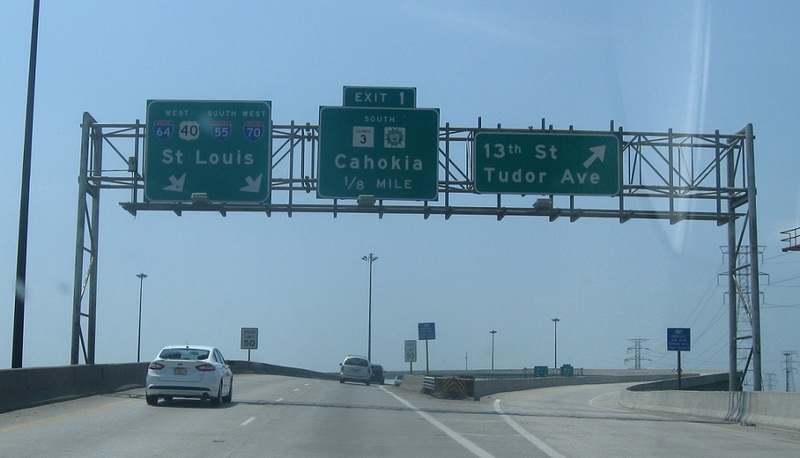 Just after the Eads Bridge exit, we’ll approach the Route 3 split. Keep right for Route 3 south. 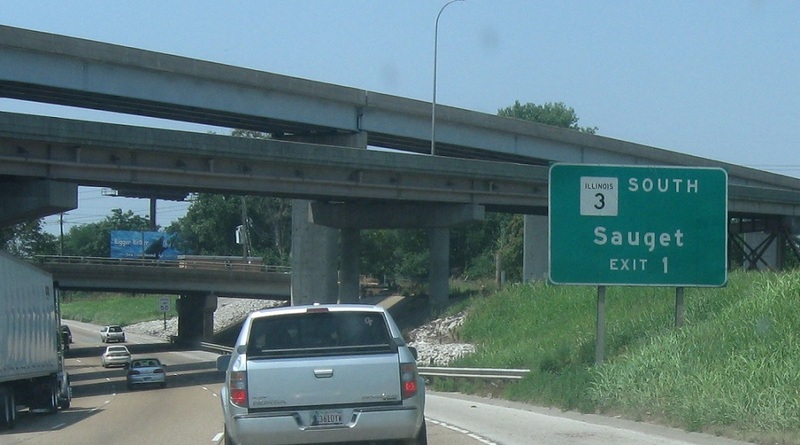 All lanes are I-55/I-64/US-40. 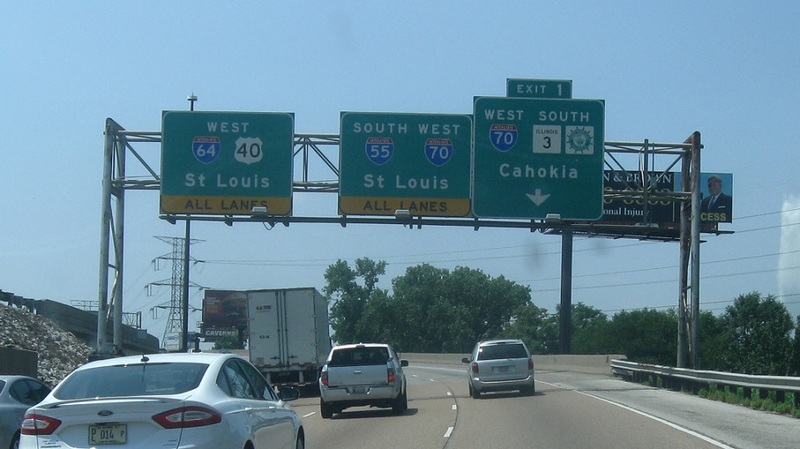 I-70 no longer uses this stretch. 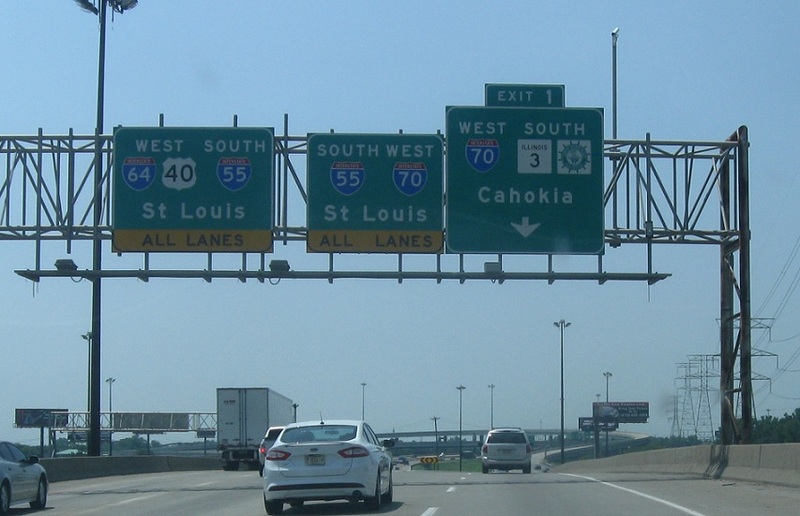 That sign is kind of misleading though – the intent is to say that all lanes go to St. Louis, but that sort of implies that I-70 exits with Route 3. Exit for 13th St. 1/8 mile to Route 3. Exit for Route 3 south. 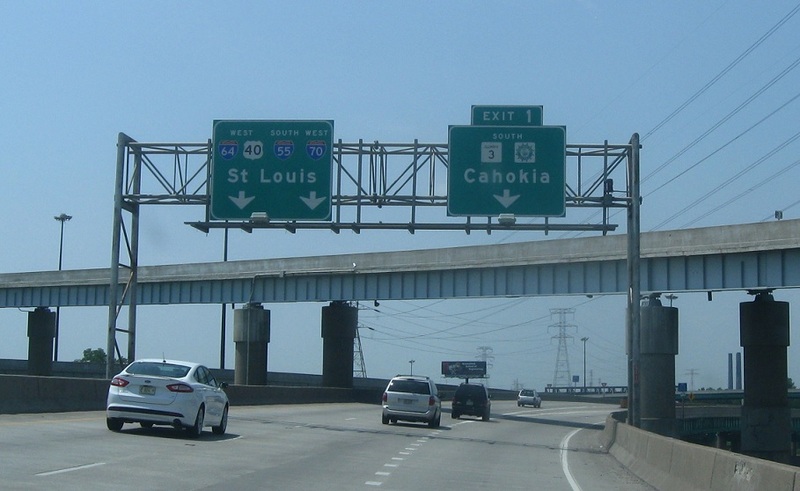 Follow the other lanes to St. Louis.